Whether you are seeking solutions to a health problem or education on preventing a disease or enhancing your current level of health, you will benefit from thirty years of my experience in integrating alternative and conventional medicine. My mission is to 1) Discover why you are not well: Make the correct diagnoses (there may be several of them), and 2) Find answers and establish a treatment program that can restore and safeguard your health, and 3) Provide you with the understanding, encouragement, and confidence to pursue your health goals. "Dr. Golan's strength is his ability to listen, but also to HEAR every important detail. The respect he has for each person and their unique story is unmatched. His summary of what he heard me say in my history did not miss a single important fact. His tests are the most thorough of any doctor I know, as he found what other doctors missed because of his superlative testing. After more than 15 years, I still consult him if I have any doubt as to a test, a question or unresolved medical issue. My only suggestion would be to estimate the time you need and organize your thoughts, questions and ideas to get the most out of your visit. He will work with you and encourage you to select a treatment with which you are comfortable. He is a physician in the truest sense." ~ Kathy G.
"Thirty years ago, Dr. Golan was a general practitioner in my neighborhood. I made an appointment to discuss some minor infection, as I recall, and I was astonished as we talked to learn he had far more information about how I could prevent a recurrence of kidney stones than the urologist I'd been seeing. I am still astonished today, recalling how resourceful he has been over the years as he addressed other health challenges I've faced, some common and some rare. Typically, as I bring up a new concern, he considers the latest discoveries about that problem as well as his knowledge of my medical history. His recall of seemingly insignificant aspects of my history has often provided important clues for his initial diagnosis. Because these diagnoses have almost always proven correct, my treatments have proceeded efficiently, saving months of experimentation and the associated expense. 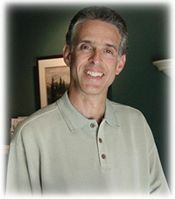 Dr. Golan offers standard and alternative treatment plans. I've favored the alternative ones, and found most of them effective, and some even magical. In spite of Dr. Golan’s great proficiency with these methods, he's no blind promoter of them. He insists on using standard medical tests to find out if a given method produced measurable results.